Over production of melanin leads to a darkening of the skin which is known as Pigmentation. Know why it happens & how can you treat it. Pigmentation is basically a term that is used to mean color. Skin pigmentation refers to the color of the skin as a result of melanin. Pigmentation can also be a negative occurrence. Melanin is responsible for our skin color. At times, especially due to exposure to the sun, a lot of melanin is produced in the skin. This leads to a darkening of the skin usually around a particular region like the face, arms and shoulders. Other factors that may lead to an overproduction of melanin include hormones. Expecting women have reported seeing dark blotches or spots on their neck and face. Pigmentation is closely related to hyperpigmentation which is simply an unusual increase in melanin production. With hyperpigmentation, the spots and blotches become darker and turn to grayish black or tan. The major cause of pigmentation is prolonged and unprotected exposure to the sun. When the skin is exposed to the sun, its natural response is to produce more melanin, so as to protect the body from the harmful effect of ultra violet rays from the sun. This is the idea behind tanning. However, the skin spreads the melanin unevenly on the skin thus resulting in skin pigmentation or discoloration in some areas. As mentioned above, hormones may also play a role in skin pigmentation. This is especially so in pregnant women who experience a wide range of hormonal changes. Symptoms of skin pigmentation are quite easy to spot. You will notice discolored spots in areas such as the face, chest, arms, upper back and shoulders; basically, any area that is exposed to the sun for long periods of time. Pigmentation starts with brown or tan patches and spots on the skin. With time, these spots may become larger and darker. Pigmentation can occur in different forms as outlined below. Melasma – This is pigmentation that usually occurs on the face of both men and women but mostly in women. It results in brown patches on both sides of the face especially on the forehead, cheeks and upper lip. Chloasma – This condition also goes by the name ‘mask of pregnancy’. It occurs in pregnant women. Sun exposure may worsen the condition. Solar Lentigines or Sun Damage – This are spots that occur on the skin due to damage resulting from the sun. The spots are usually referred to a sliver spots or age spots. They occur on the face, arms, shoulders, chest and upper back. Freckles or Ephelides – Freckles may be caused by ultra violet rays or they may be inherited from a family member. Post Inflammatory Hyperpigmentation (PIH) – Occurs after an injury to the skin. It can also occur after a traumatic skin treatment or skin lesions. Improper use of skin products may also cause it. What Happens Due to Pigmentation? Pigmentation has several effects on the body. One, it causes discoloration on form of spots and patches. This is considered unpleasant and unappealing. Secondly, pigmentation may signal a more serious skin condition that needs to be dealt with. Luckily, pigmentation can be treated. Different forms of treatment are used for different forms of pigmentation. For mild pigmentation, you should first try simple homemade remedies. Substances such as lemon are good at reducing pigmentation. Other simple harmless products you can use include milk, chamomile and honey. Look for ways on how to mix them in the right proportions. More serious pigmentation may require the use of commercial products such as creams and lotions. In most cases, skin brightening creams are used to get rid of pigmentation and even out the skin color. You should however be careful about the creams you use. Some have dangerous ingredients that can bring about harmful side effects. The last and most serious of treatment options is to undergo a certain medical procedure. There are several medical procedures that can be done in an attempt to treat pigmentation. One of them is a chemical peel. This is where the upper skin layer is removed together with the discoloration. 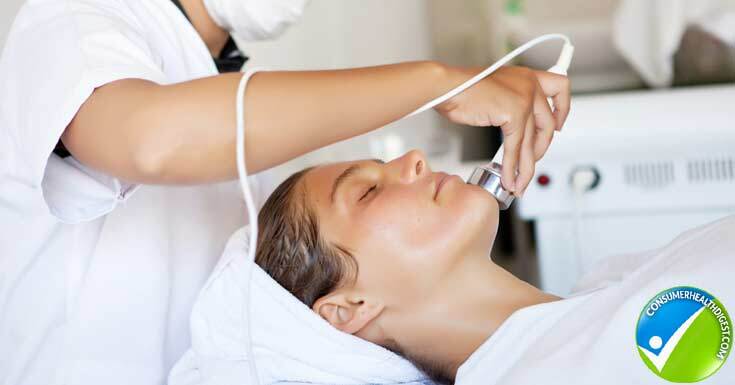 Other medical procedures include demarbrasion and laser resurfacing. Rather than waiting to undergo procedures and use creams to treat pigmentation, it is much easier to avoid it. Below are tips on how to prevent pigmentation? The most effective prevention technique is to avoid sun damage. Protect your skin every time you are out in the sun. Be cautious about the skin care products you use. Avoid those that irritate the skin. Hydrate your skin by using moisturizers and drinking a lot of water. Visit a dermatologist regularly for check up. LumnaskinIt is very effective in getting rid of various pigmentation marks including sun spots, freckles and age spots. Apart from removing pigmentation, it also moisturizes and nourishes the skin. Its effectiveness comes from its ingredients which include Gigawhite, Grape seed extract, Biowhite serum and hyaluronic acid. Blue PlasmaIt treats a range of pigmentation problems including sun spots, ephelides and age spots. It works by peeling away layers of dead skin cells, purifying the skin and moisturizes the skin with enriched water. Purely BrightThis product uses ingredients such as hyaluronic acid to increase elasticity of the skin, turmeric extract for skin protection, Kakadu plum extract to reduce severity of skin pigmentation, citrus Unshiu peel extract to get rid of dark spots and Vitamin C for improved skin protection.